One of the key challenges of every business is the need to find solutions to problems and issues. This is the very reason why many businesses exist in the first place and why customers and clients keep coming back regularly. When a company can provide a service that solves the needs of its audience, everyone walks away happy. Issue tracking software is one of the most beneficial options to identify, track, and solve problems inside and outside your business. Providing timley and efficient customer service is extremely important, so it's essential to expedite the process as much as possible. Regardless of how well-prepared and organized your business is, issues are bound to pop up. After all, few companies have ever brought a new product or service to the market without dealing with hurdles during the process. Success comes from ironing out the kinks, as nothing is perfect right out of the gate. Finding the right solutions is the key to being an expert in your field. When it comes down to it, businesses have always used issue tracking to solve problems. The difference is that today's methods of issue tracking require less work of your employees. 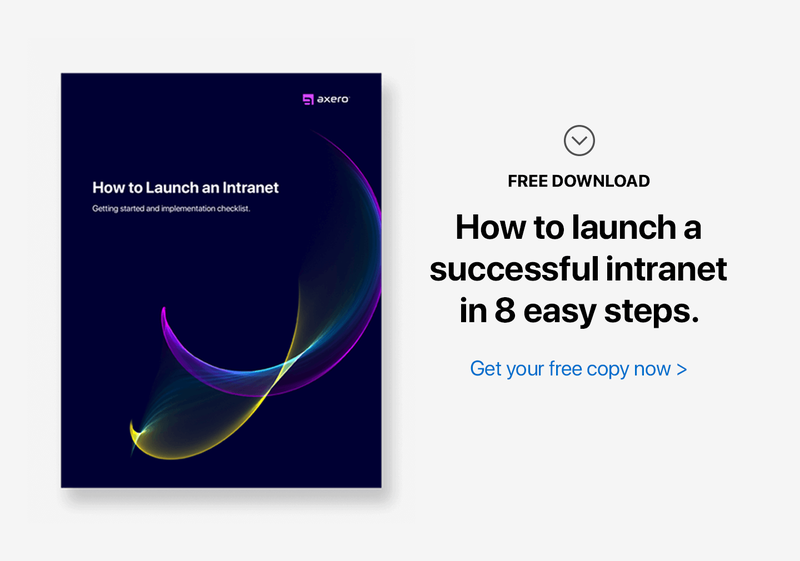 Instead of taking a "pen and paper" approach (which is not only wasteful, but subject to inaccuracies), today's businesses are looking to social intranet software as an ideal platform for identifying and solving problems. The intranet platform, Communifire, comes equipped with a robust issue tracking system, allowing for complete control over the problem-solving portion of your workload. Tickets can be opened for any problems or questions your customers or employees have. And they can all be taken in one conveniently-located area of your company's social community. Today's customer service needs are beyond what people grew accustomed to in the past. No longer is it acceptable for an issue to sit for days before being addressed, as people won't wait around for an answer. With Communifire, issue tracking can quickly address any problems your customers may experience, which can have an extremely positive effect on customer relations. When you have a team of people working together to develop a new product or service, most likely people will run into problems throughout the process. Internal problem solving is a necessity and should be focused on to ensure that no roadblocks hinder progress. Similar to how cases and ticketing can be used to address customer service needs, you can track issues internally. Any business that wants to break through and find an audience needs to create high-quality content in the form of blogs, wikis, or articles. Scheduling and tracking the progress of business blogging, or wiki and aricle creation, can be a difficult task ... especially when a lot of content is being created. Opening up a ticket for each post is an ideal way to keep track of what's going on, letting you track the lifecycle of the content creation process. Project management is easier than ever, thanks to the use of technology. Just as tickets can be opened for blog posts and wikis, they can be used for projects as well, allowing you and your team to constantly update the status of a project and contribute notes containing important details. A great thing about Communifire's issue tracking software is just how open-ended the system is. Think of issue tracking as a platform without rails ... its uses vary depending on an organization's needs. When you look at it this way, the sky's the limit in terms of how you can use issue tracking software. This allows you to personalize the system to best meet the needs of your company. Customers are the lifeblood of your business. Bearing this in mind, it's essential you do everything possible to ensure your customers' needs are met on a regular basis. This is the only path towards improved customer relations, and you can streamline the process with issue tracking software. Given the many ways you can use it to improve customer service, there's simply no better way to make quick, effective changes to how you currently handle the customer problems and questions. Organization is everything, yet between projects, customer queries, and the daily grind, it can quickly become difficult to stay organized if you don't remain proactive throughout the process. Issue tracking software makes organization a breeze, meaning you can expect productivity levels within your company to soar once you and your team learn how to properly use the system. A big problems associated with issue tracking, without the help of reliable software like Communifire, is that inaccuracies can play into the scenario. Tracking with paper and pen or even manual spreadsheets can not only be time-consuming, but the process is heavily subject to human error. Keeping your employees engaged in their work is often a difficult task, and it's a leading cause of stress and anxiety for those in leadership roles. This being said, an employee who is fully engaged is one who will add, rather than take away from your organization, making it important to do whatever possible to improve employee engagement. Since cases and issue tracking software requires employees to constantly check in and post updates, it will have positive effects on their levels of engagement over a short amount of time. Keeping your business's costs low is something that most people have a clear understanding of, but it's still a big challenges faced by modern businesses. There are entire software applications devoted to cases and ticketing, yet they don't feature any added benefits not found in robust social intranet software like Communifire. By dropping the standalone software, you're not only saving time to navigate from application to application, you'll also be saving money in the process. Turnaround time is something that everyone wants to improve, yet it's often a significant battle. Finding ways to decrease the time it takes for an individual to complete a task is worth looking into, and technology providse the bulk of today's answers. When Communifire's issue tracking software is used to its fullest extent, turnaround time becomes quicker, and saved time can easily equate to saved money. Coming up with great ideas and solutions can be a tricky process, and it often requires the minds of more than just one or two people to reach a clear goal. It's no secret just how important collaboration is, yet many organizations struggle with fostering a truly collaborative environment. Whether you're managing remote employees, or gathering each day at a brick and mortar office, social intranet software with an issue tracking system will lead to increased collaboration. In the end, you can expect more layered solutions, most of which will come faster than if your employees were working on their own. Since cases and issue tracking can be used externally as well as internally, issue tracking software is an excellent vehicle for monitoring trends that relate to your products and services. Trend monitoring allows you to get a sense of how your products are being embraced and used, by what type of audience, and many other factors that can be analyzed to improve the future success of your organization. The more focus your team puts on issue tracking, the more likely you'll identify key trends that affect how your business moves forward. One of the hardest parts of choosing the right social intranet software is that the market is flooded with products ... many of which are one-size-fits-all in nature. Bearing this in mind, it's important to recognize that not all of these platforms are created equal. Knowing what to look for is essential, and the list of features inherent in Communifire's issue tracking software is what sets it apart from the alternative options. In Communifire, "Spaces" allow you to create a partitioned area for each of your teams or departments, ensuring that information overlap never becomes a problem. Since handling many issues at once can be tricky, each online workspace in your social intranet has its own issue tracking system. Every department's employees only need to handle tracking the cases, issues, bugs, help desk tickets, and customer requests that apply to them, which cuts down immensely on any confusion that might otherwise come about. Sometimes issues need to be isolated even further than at the space level. For this reason, Communifire allows you to create "projects" which contain the list of issues created to move a task from open to closed. While HTML is used to a large degree in today's world, it would be out of line to expect all your employees to have a grasp on how to read or write the language. Adding a ticket in the Communifire issue tracking software is a simple process thanks to the software's built-in WYSIWYG editor. You can add text, videos, images, screenshots, and more without the need of HTML knowledge. You can edit, tag and publish posts with minimal effort, which cuts down on wasted time that might otherwise become an issue. For those in leadership roles, it's essential to have the right person on every job to minimize problems. Managers can assign issues to specific users, which allows them to make comments, update statuses, categorize, and follow each issue they are assigned. As far as organizational purposes go, there's no getting around how effective it can be to make the right issue assignments. Thanks to Communifire, doing so doesn't have to be a hassle. 5. Create Your Own Customized Issue "Types" & "Categories"
Every business is unique and has its own set of needs. To this point, there isn't a business out there that can make it in the modern professional landscape without personalizing how daily processes are handled. This is why Communifire allows users to personalize issue types, statuses, and categories. Personalization makes the issue tracking process easy to follow, eliminating many of the common issues associated with keeping a strong grip on issue tracking. Staying notified about what's happening within your organization is essential, and it couldn't be more true for cases and ticketing. Notifications ensure that nothing gets missed, even if members of your team aren't always logged into the social community. They can even be sent via email to let users know when they're added to a case, when the case is updated, and when someone posts a comment. Once a space gets populated with information, it becomes more and more important that users are able to search for the issues they're looking for. Communifire features a robust intranet search engine that makes finding what you need a breeze, regardless of how busy you may be. You can search, sort, and filter your results all in one place, which means there's never a need to juggle locations to find the right content. In many situations, users may choose to rely on their email inboxes as notification centers. This allows them to keep tabs on what's going on within the community without having to log-in. For these individuals, it may be beneficial to use Communifire's "catch-all" response feature, which allows members to comment on cases directly from their email applications instead of having to be present in the community. This can save time, especially when many of today's professionals receive email on their smartphones. When you first log into Communifire's social intranet software, it becomes quite apparent how easy everything is. Once you take the time to dig deeper, you'll understand how versatile the software is. Start at the "Project" Level - At its core, a "Project" in Communifire is collection of different issues, all of which fit underneath a single umbrella. Starting at the Project level allows you to track bugs, requests, and tasks without losing sight of what they relate to. This ensures that everything stays organized in the process. Teaching your staff to kick things off at the Project level is an excellent way to get started with Communifire's issue tracking software. Make Proper Use of the "Status" Feature - Sometimes, you may forget to update your case as you make progress. As you might expect, this takes away from the true versatility of issue tracking in Communifire. Statuses such as "New," "In Progress," "Fixed," "Closed" and "Feedback Required" let everyone know exactly what they need to do to move a case to its finished state. Updating the status of a case is as easy as making changes to its dropdown menu. Set Priorities - It can be overwhelming to log into your social intranet and be faced with a lot of issues. In most cases, some issues will be more time-sensitive than others, and knowing which to tackle first is important. Setting priorities is an essential part of creating a workload hierarchy for each space in your community. Priorities such as "high," "medium" and "low" allow team members to get a strong sense of how to plan their days, and everyone will benefit from staying on top of what needs to be addressed in what order. Assign the Right People to an Issue - At the heart of Communifire's issue tracking software is the ability for administrators to assign roles to users. Finding the right person for the job is essential to keeping productivity levels high and avoiding potential obstacles, and it's as easy as browsing employee profiles to identify those with the right skills. Once you assign a user to a case, they'll get all the updates they need to keep from falling behind. Take Things Slow at First - One of the biggest mistakes you can make when introducing issue tracking software to your team is to put too much on everyone's plate right away. Information overload causes anxiety and confusion, and you most likely know these problems can lead to other issues that are difficult to fix. Take things as slow as you need to, explaining in detail how to get the most out of handling issues and ticketing before you task users with biting off more than they can chew. Communifire's issue tracking software is an extremely versatile way to ensure nothing goes overlooked both internally and externally. Once mastered, you and your team can focus on what truly matters and eliminate any unnecessary stress factors that could potentially get in the way.